Tampax helps you confidently stand out, stay active, and live without limits. 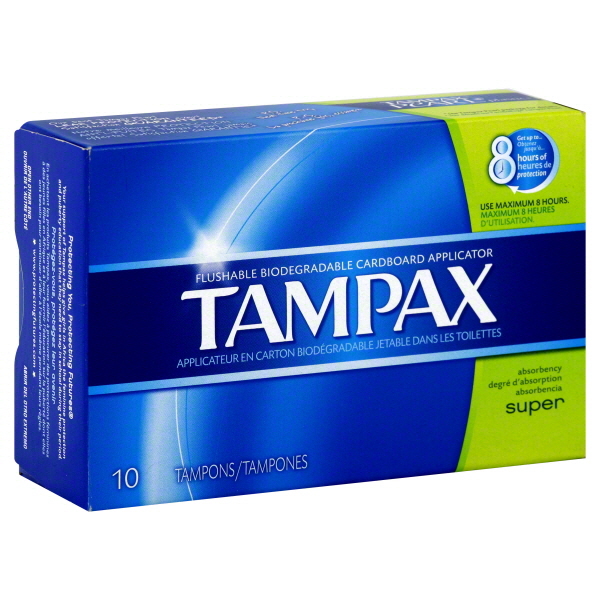 No matter what you like to do, Tampax will help keep you protected. Tampax Cardboard has an absorbent core designed to fit your unique shape, along with a LeakGuard skirt to help stop leaks before they happen. Each tampon comes in a strong durable wrapper and has an Anti-Slip Grip applicator. When using tampons, it’s important to choose the lowest absorbency necessary for your menstrual flow. And because the amount of flow varies from day to day, it’s likely that you will need to use different absorbencies on different days of your period. Selecting the right absorbency comes with experience but, as a guide, if a tampon absorbs as much as it can and has to be changed before four hours, then you may want to try a higher absorbency. On the other hand, if you remove a tampon and after 4 - 8 hours white fiber is still showing, you should choose a lower absorbency.